"Nugget: Anything of great value, significance, or the like: nuggets of wisdom". As modernity continues to penetrate into the fabric of the Punjab and Sikh lifestyle it is important to maintain the past and to ensure that there is a remembrance and continuance of this past. In the name of the change and looking “new" many of the priceless artifacts of historical value have been neglected and the “whitewashing" of frescoes is well known in many places in the Punjab. 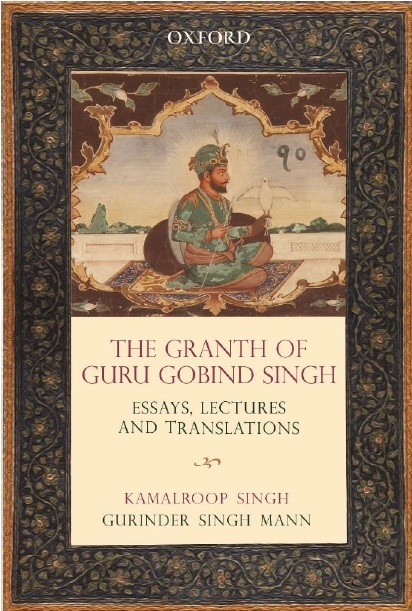 The eroding of manuscripts in universities is a norm rather than one off and whilst some measures are being put into conserve these important recensions of Sikh texts, they are still very shortcoming. Some institutions like the Punjab Digital Library have made an effort to digitize some important manuscripts, newspapers and journals but there is a long way to go. Various websites have heralded a call for preservation like www. Punjabheritage.org, individuals like Dr Gurmeet Rai stand as an alone voice in the wilderness of non change, and organisations like the Anglo Sikh Heritage Trail (ASHT) has received lottery money to fund various lectures and exhibitions. There are indeed many others trying to make an effort. Gurinder Singh Mann, Content Editor of Sikh Nugget has personally gone through many collections in the Punjab and the UK and catalogued what needs to be preserved and what is beyond recognition. The aim of Sikh Nugget is to bring awareness of conservation and to showcase many of the Sikh and Punjab collections from the UK and other areas around the world. It was at the time of the Tenth Guru’s Durbar that many copies of the Guru Granth Sahib and Sri Dasam Granth Sahib were written. Other works by the Kavis or poets were also written but these remain largely neglected. At the Durbar many of these works were seen as words of wisdom by the Guru and so in keeping with Knowledge and wisdom. The blog has been named Sikh Nugget. The picture in the logo depicts Guru Gobind Singh addressing the Khalsa. Sikh Nugget will bring all the latest news related to the preservation of Sikh and Punjab heritage. It will also showcase the areas of interest from Gurinder Singh Mann’s many years of cataloguing and providing various interest groups knowledge of Sikh history. Readers are encouraged to send in articles which will fit in the scheme of this site. As Sikh and Punjab artifacts now are being traded for high prices in auction houses across the world, readers will also be alerted to these so that any important pieces are bought and maintained by Sikhs for public viewing rather than private collections.